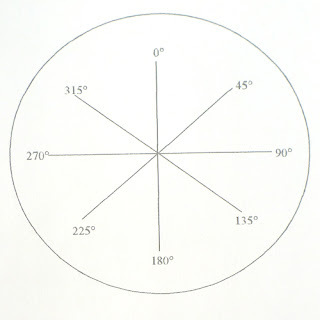 Need to measure specific angles with your microscope? 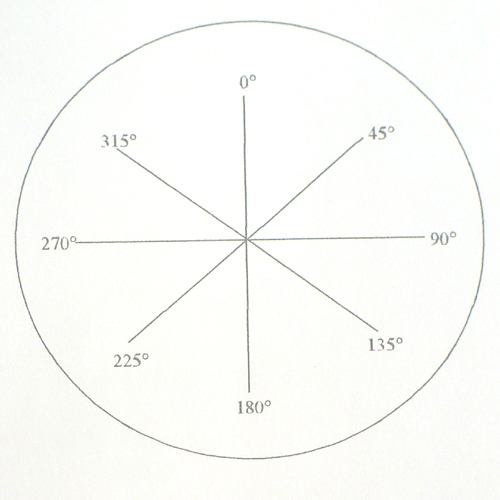 You might find a cross-line eyepiece reticle useful. 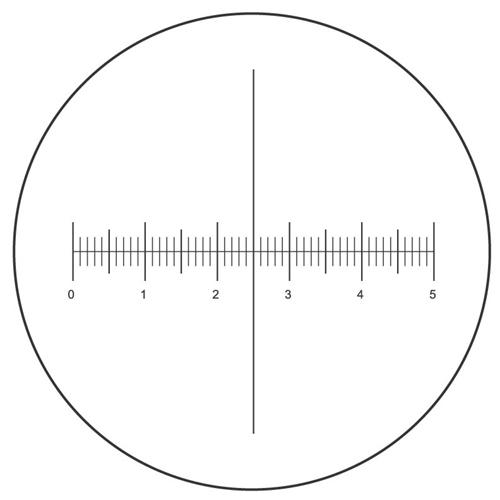 A microscope eyepiece reticle is a small piece of glass with a ruler or in this case, angles, printed on the glass. It fits inside the microscope eyepiece. When looking through a microscope fitted with an eyepiece reticle, the measuring angle or ruler is imposed upon your specimen. 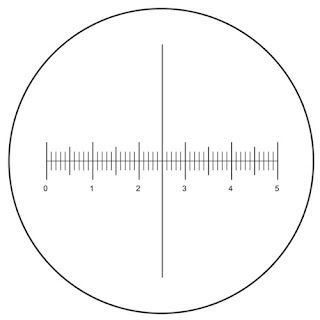 When using an eyepiece reticle with specific distances between lines (such as the ruler reticle shown below), it is important to calibrate the microscope with a stage micrometer. Learn more about microscope calibration here. You can view a large variety of microscope eyepiece reticles here.